But the coordination in the anthrax case went far beyond policing. Media were deeply implicated. The media faithfully set out the story they were handed by authorities: the attacks appeared to have been carried out by al-Qaeda, with a strong possibility of Iraqi involvement. This story was successfully propagated, for example, through a wide variety of newspapers, from The New York Times and Washington Post to the Guardian. By the end of 2001—less than four months after the attacks began—Homeland Security, the FBI and the White House had been forced to admit that neither al-Qaeda, nor Iraq, nor domestic Muslims, appeared to have had anything to do with these attacks. Instead, they came from the heart of the US Military-Industrial-Intelligence community. 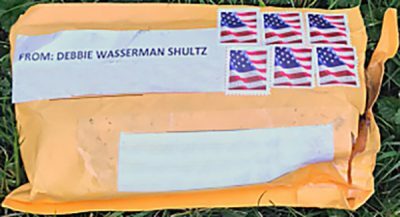 As to who, precisely, in this community carried out the attacks, there remains disagreement; but even a sketchy familiarity with the anthrax attacks knocks out of Cillizza’s Step 2 objections. 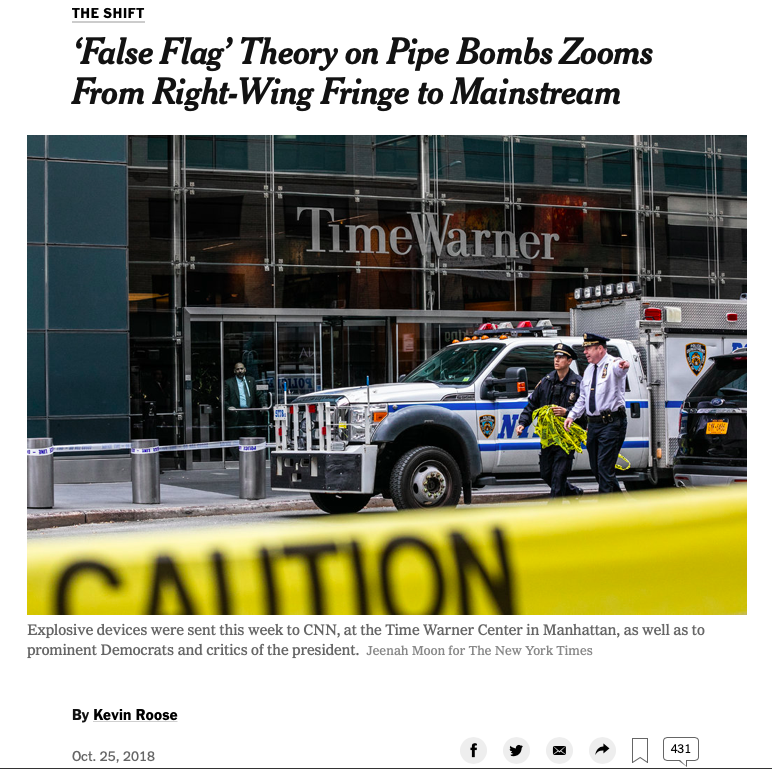 Kevin Roose, “‘False Flag’ Theory on Pipe Bombs Zooms From Right-Wing Fringe to Mainstream,” The New York Times, Oct. 25, 2018. 3. Most comments on the anthrax attacks in this essay are based on my book, The 2001 Anthrax Deception: The Case for a Domestic Conspiracy. Clarity Press, 2014. 5. The Wounded Flesh Stratagem can be found at least as early as the 14th century CE in the novel, Romance of the Three Kingdoms (San Guo Yan Yi). It can also be found as one among many stratagems in the later compilation, Thirty-six Stratagems. The Wikipedia article on the latter text offers an interpretative translation of ku rou ji: “inflict injury on oneself to win the enemy’s trust”. If the pipe bomb case is an instance of ku rou ji, the enemy of the perpetrators would be the U.S. population itself.